We are kicking off the new year with an event like non other. 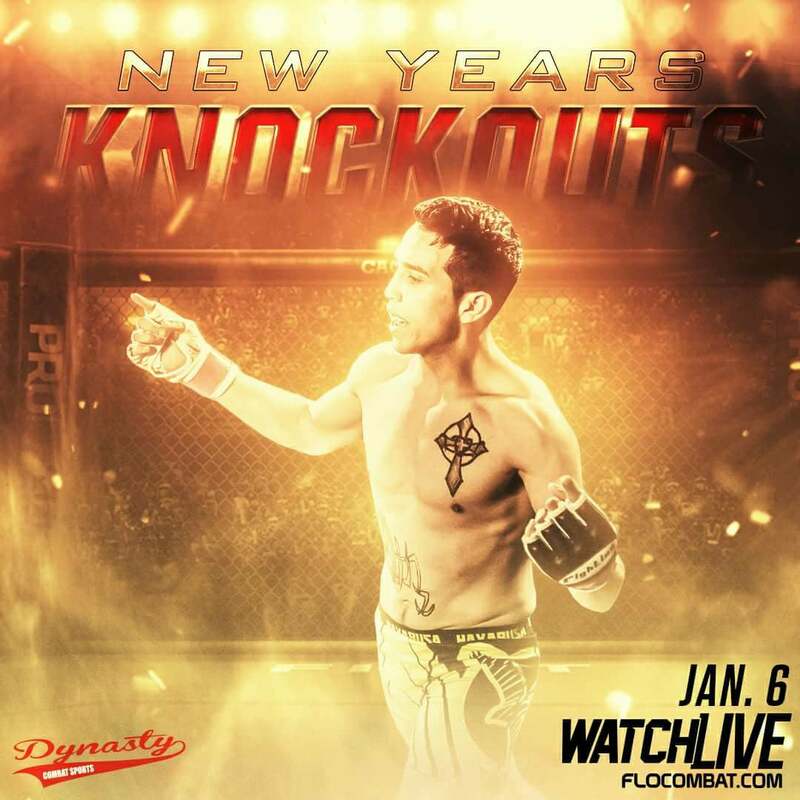 The MMA Futures team will be traveling to Kearney Nebraska for Dynasty Combat Sports 39: New Years Knockouts, which will be available live on FloCombat. This card is headlined by a pair of amateur title fights. The Co-Main event of this stacked card will pit newcomer, North Platte’s, Helio Villegas against the more seasoned Brandon Trout. Although Trout is 3-5 he is no slouch with all of his losses coming by submission against some of the best talent out there. Expect this to be on heck of a fight for the Dynasty Combat Sports Amateur Flyweight title. The main event matches up Kearney local Jose Hernandez who hasn’t lost a fight since his 1st fight and has won all for of his fights in pretty dramatic fashion. But he will be standing across the cage from a tough and fierce Nate Morrow. Morrow has had some up and downs in his short career but seems to be on the right path to have a very bright future. This should be one heck of a matchup as both of the young me are looking to take home that Dynasty Combat Sports Amateur Featherweight Title before making the decision to go pro.